Apple today provided developers with the fifth beta of an upcoming 9.2.2 update to tvOS, the operating system that runs on the fourth-generation Apple TV. The fifth tvOS 9.2.2 beta comes one week after the release of the fourth beta and more than a month after the tvOS 9.2.1 update. tvOS 9.2.2 has been in testing since May 23.
tvOS betas are initially more difficult to install than beta updates for iOS and OS X. 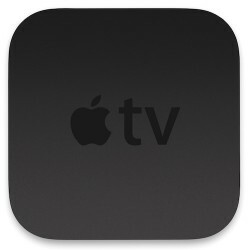 Installing the tvOS beta requires the Apple TV to be connected to a computer with a USB-C to USB-A cable, with the software downloaded and installed via iTunes or Apple Configurator. Once a beta profile has been installed on the device through iTunes, new beta releases will be available over the air. tvOS 9.2.2, like tvOS 9.2.1, is a minor 9.x.x update, focusing mainly on bug fixes and performance improvements that aren't immediately apparent. Apple's release notes have suggested the update includes bug fixes and security improvements. No outward-facing changes were spotted in the first four betas, but this post will be updated if we discover any new features or fixes in the fifth beta of tvOS 9.2.2.